Go ahead: Drop it on the floor. Sit on the kickstand. HP's Elite X2 is the one Surface clone that's repairable. If you drop a Surface Pro 3 and shatter the screen, kiss it goodbye. That’s not the case with HP’s newly announced Surface-clone Elite X2. Aimed at business users, you can walk the Elite X2 down to IT, where they can remove a few screws and replace the screen in minutes. No glue and no heat gun, as you must use to open most other tablets. 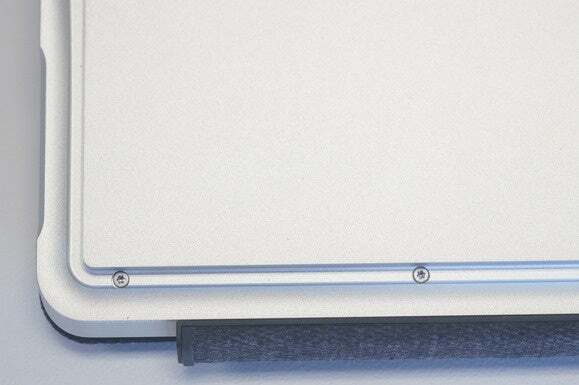 But that’s what HP says sets its convertible apart from similar designs, making it better suited for corporate customers who need to be able to service the devices. 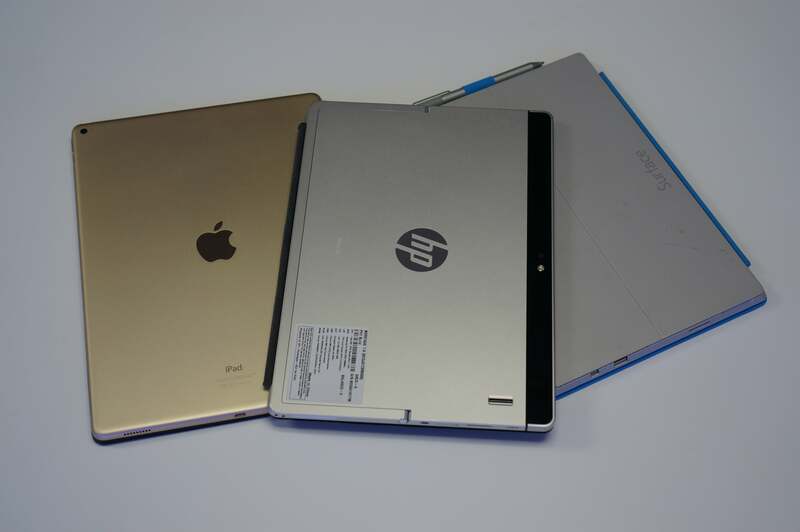 HP isn’t just taking shots at Microsoft’s Surface Pro-series either—the company says its similar (but consumer-focused) Spectre X2 isn’t up to enterprise standards of durability, either. The Elite X2 has the Surface/Spectre-style kickstand, and the keyboard magnetically pops off just like on a Surface, but it’s slightly bigger, slightly heavier, and far more repairable. 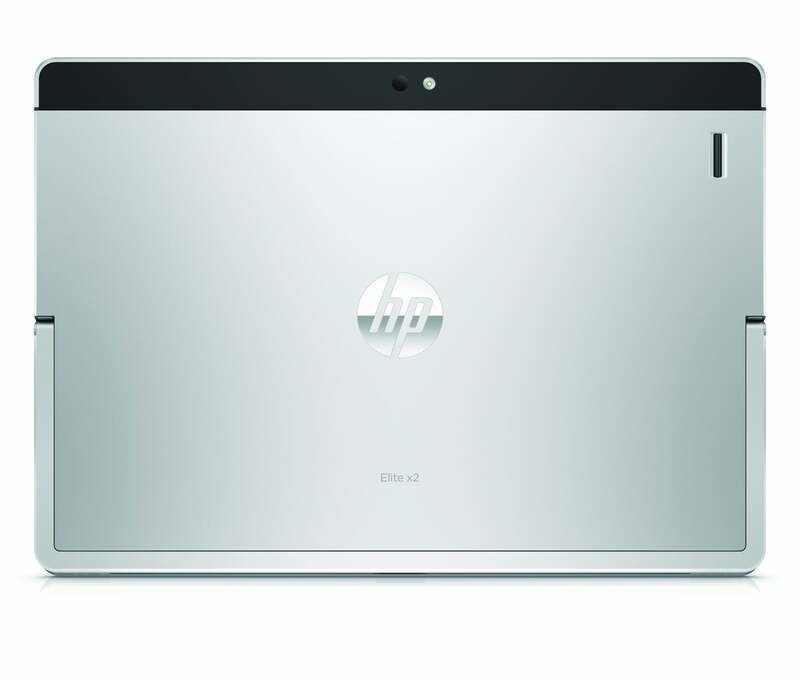 Inside, HP is touting fanless Core m-class CPUs. The 12-inch screen is a 2:3 aspect ratio 1920x1280 and is skinned in Corning Gorilla Glass 4. There is, of course, pen support, using a Wacom pen with 2,048 pressure levels—Yes, twice the pressure sensitivity of the Surface Pro 4 and iPad Pro. The Elite X2 is rated to survive drops from as high as 36 inches onto a wooden floor. On concrete that distance is reduced to 20 inches but it should still survive, the company claims. HP, incidentally, says that can occur with the kickstand or keyboard open or closed. For ports, the Elite X2 has a full-size USB Type A, USB 3.0 port and a USB Type C port. Unlike the consumer-focused Spectre X2, the Elite X2’s USB-C port features Thunderbolt 3.0, too. That means it can take USB 3.1, DisplayPort, and Thunderbolt accessories. While the standard Travel keyboard offers no additional ports, the extra-cost Advanced keyboard has an integrated Smartcard reader. Which of these tablets isn’t called pro but can actually be opened up without a heat gun? 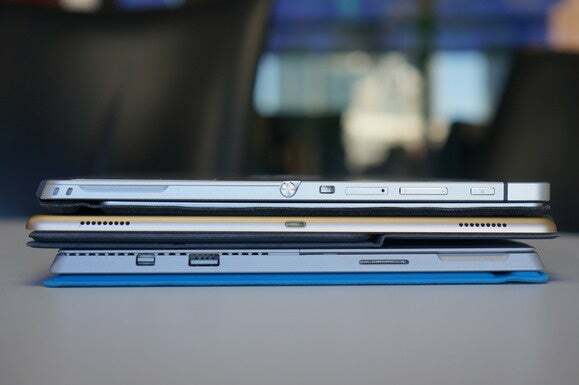 If you guessed HP’s Elite X2 in the middle, you’d be right. RAM options include 4GB and 8GB, with storage offerings from 128GB to 512GB in M.2 SATA or a 256GB M.2 PCIe SSD. HP also offers 180GB or 256GB self-encrypting drives. HP said it eschewed using Windows Hello technology in the Elite X2 for two reasons: Corporate customers don’t quite trust it yet, and Windows 7 doesn’t work with it, which is a must for corporate builds. HP did, however, integrate a swiping-style fingerprint reader into the back of the Elite X2 to make logins easier. Other interior highlights include either a 2x2 802.11ac and Bluetooth 4.2 radio, or Tri-band 802.11ac/Bluetooth 4.2 radio with Wi-Gig and LTE support. Accessories include both wired Thunderbolt and WiGiG wireless docking stations as well a plain-vanilla USB-C docking station. The lines remind me of Apple’s classic iPhone 4. Yeah, the one with the antenna problems. I had two separate occasions to handle the Elite X2 and came away impressed both times. It feels solid, and I don’t doubt HP’s drop-test claims. I’ve now had extensive hands-on with all Surface Pro iterations and the Elite X2’s consumer cousin, the Spectre X2, and I think I like the beautiful lines of the Elite X2. It’s reminiscent of Apple’s iPhone 4 with its straight lines—before the company got all soft and curvy with its tablets. The solid-feel doesn’t come cheap, though. It’s slightly heavier than the Surface Pro 4 and Pro 3. It’s not VAIO Canvas chunky, but at 1.85 lbs. it’s a tad heavier than the Surface Pro 4’s 1.73. For comparison, the Surface Book’s Clipboard and the new iPad Pro both weigh 1.6 lbs. If you break off the kickstand it’s a snap to replace it. The kickstand certainly feels rugged enough. 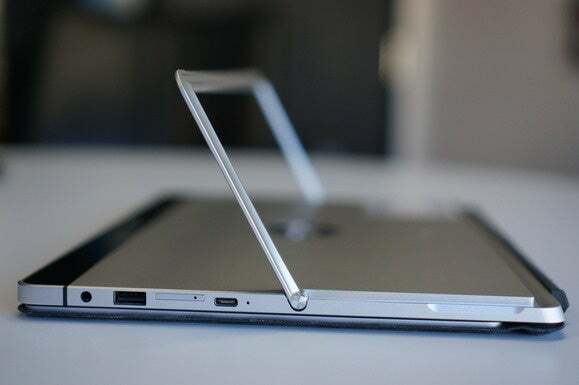 HP says you can open and close it 10,000 times and it’ll support up to 10 pounds of pressure before it snaps off. 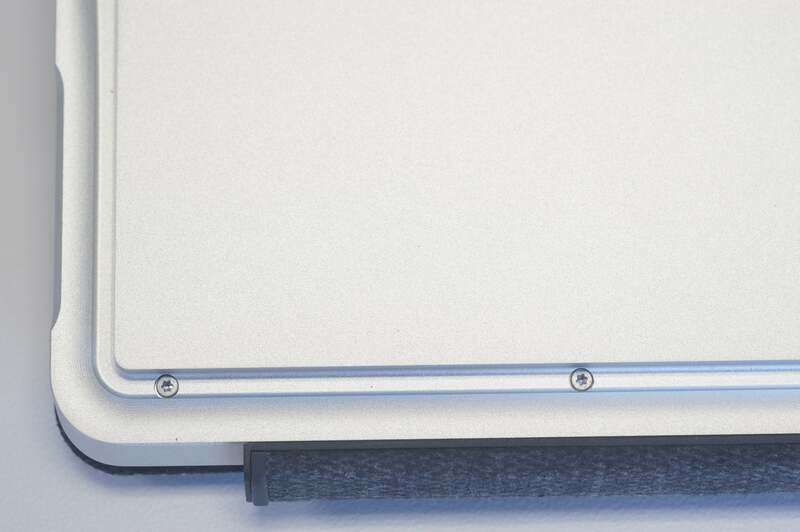 Even better, if you do snap it off, it’s easily replaced by removing a couple of screws. There’s a lot of talk of Apple’s making a “business” or enterprise push with its iPad Pro and its partnership with IBM. 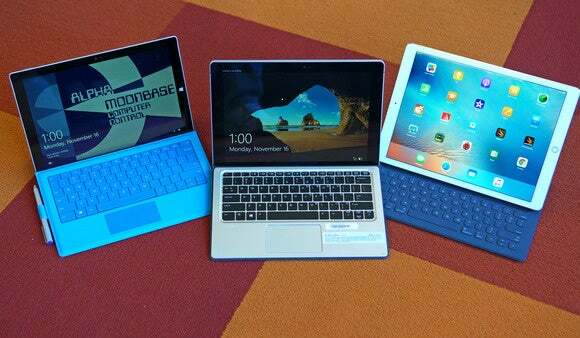 Dell and HP have both been selling Surface Pro 3 to corporate customers. So what exactly makes the Elite X2 so business? Obviously, the ability to repair it and service it. That makes no sense to most consumers who don’t actively post to iFixit forums, but companies that have thousands or tens of thousands of computers likes to service them to save cash. It’s also nice to be able to walk down to the IT shop with a dead unit and have them crack it open, pop out your M.2 drive, and pop it into a fresh device. That saves on rebuilding an image or trying to recover files from a dead tablet which is nigh impossible and less down time. I wasn’t given a chance to open the Elite X2 but HP says its easily done by just removing these Torx screws. The other appeal is manageability. IT shops like to be able to service PCs from afar and have the machine tell them when it’s going to fail. Much of that comes through Intel’s corporate vPro hardware, which the Elite X2 will have. Only the Core i7-based Surface Pro 3 has vPro, but all of Microsoft’s current units save the lowest-end Surface Pro 4 support the feature, too. Like Microsoft, HP didn’t go all vPro either, likely for cost and because some customers don’t need the feature. This iPad Pro sandwich is made with the Elite X2 on top and the Surface Pro 3 on the bottom. Yes, there’s a K-lock port. One feature I didn’t get to try with the Elite X2 was the pen, but know that it’s a Wacom unit. 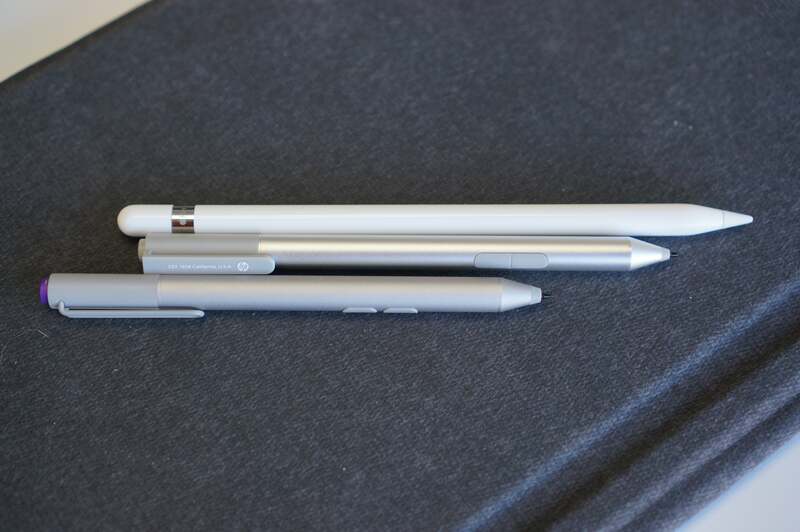 Here’s a shot of three digital pens. The HP pen runs on a quad AAAA battery. The shaft is aluminum and feels fine, but the plastic top doesn’t impress. The good news is it has a clip, so it won’t roll away like some others I've tried (looking at you, Apple.) HP also throws in the pen with the price of the unit. On the bottom is the Surface Pro 3 pen, HP’s Wacom pen and the Pencil. The cheapest one actually offers the most pressure levels. Guess which one? Why is HP making the Elite X2? The company said it’s seeing and hearing from corporate customers that as the workforce gets younger, workers are expecting a tech experience in line with their personal experience. And big, ugly—though serviceable—black laptop doesn’t line up with their technology expectations. The Elite X2 gives them their tablet, and they get their laptop, too. When can you buy it? You’ll have to wait until January before the first Elite X2’s ship. 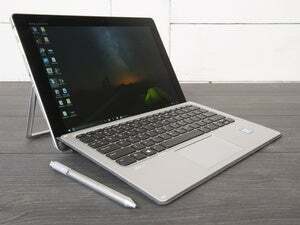 HP said while consumers don’t like such long waits, corporate customers move a lot slower and two months is nothing. HP said the base Elite X2 should ring at $899 and comes with the pen and Travel keyboard. 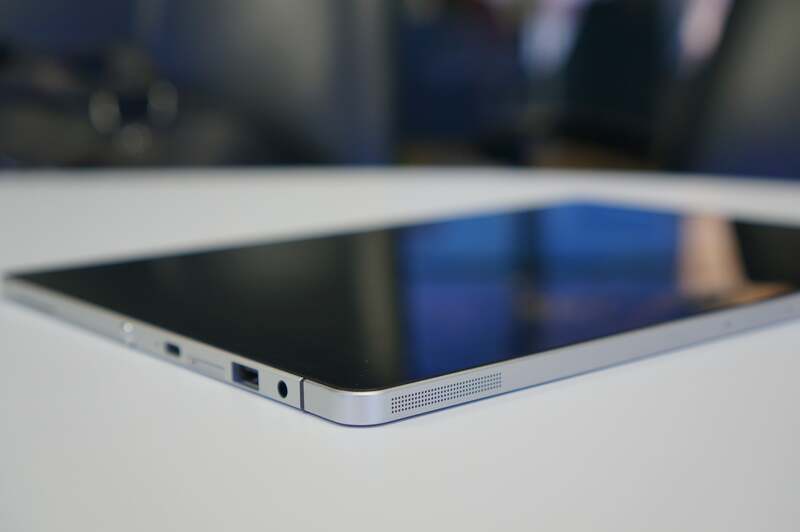 That’s probably the base unit with 4GB of RAM, 128GB storage, and Core m3. Correction: HP incorrectly supplied the wrong pressure levels for the Elite X2. It is 2,048.